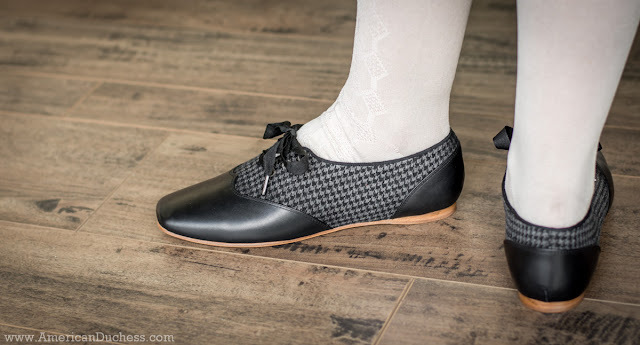 Today in our "little history" post I'll give you some background on our new split-vamp oxford "Eliza." 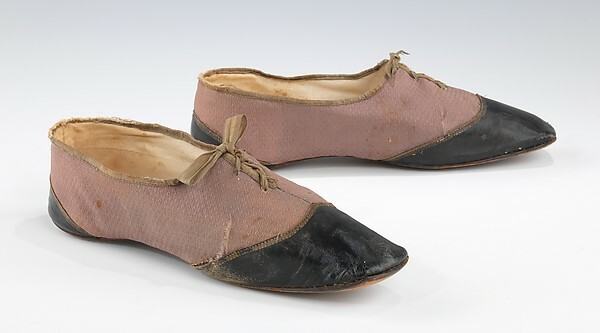 The idea for the "Eliza" shoes came from the growing interest in the 1830s and 1840s in the historic costuming community. We wanted to offer something that was delicate, interesting, yet sturdy - these juxtapositions were a challenge for shoes of this period, which were notorious for being particularly temporal and rather dull. Transitioning from a previous period of bright, fun footwear, the shoes of the early Victorian period are quite boring. Skirts were long and full, obscuring the feet enough that not much attention was paid to pretty footwear. Shoes were cheaply made, often at home, with no heels, on straight lasts, and from scraps of fabric and leather. The only stiffening would be the heel counter, with toes being long, square, with no toe boxes. Men's, women's and children's shoes were essentially of the same design, with relatively little pizzaz in color, decoration, or form. This style of footwear stayed in fashion for a whopping 30 years before hems shortened and shoes gained more attention and interest. As always with American Duchess shoes, we want to create something that will work with many ensembles but is still special. The Eliza oxfords offered this opportunity for the Early Victorian period, pairing houndstooth check wool with leather foxing, petersham ties and binding, and that adorable 1830-1860 shape. 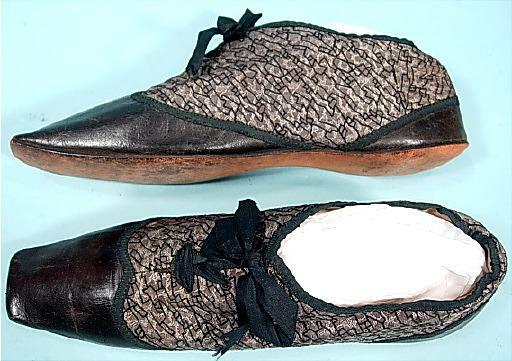 The Elizas are based most closely on a pair of extant shoes in the Chester County Historical Society (unfortunately no record available online and our photos cannot be shared). A similar design can be seen in Shoe Icons, c. 1830 - 40 as well as The Met, 1840 - 49, and the Virtual Museum Canada, 1825 - 40. Textile choice in this type of shoe varied but wool with some sort of pattern was a common and practical choice. The leather foxing differs from shoe to shoe and can be quite interesting - sometimes it is deep, covering most of the vamp; sometimes there is just a little bit on the toe; heels may or may not have foxing. There is a uniqueness, what may even be called creativity, in how shoes of this period were foxed. 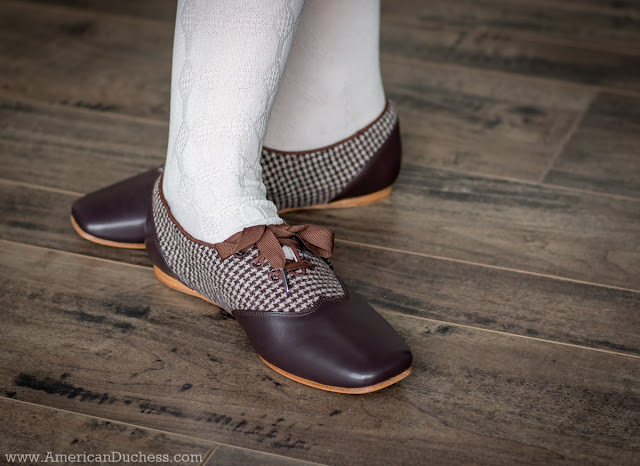 Our "Elizas" are made of houndstooth wool foxed in calf leather. We have stuck with the textile lining and insole with our historic trade stamp, and have bound the edges of the oxford with petersham ribbon, the same used for the lacing. There is a choice of colors between brown and grey/black.